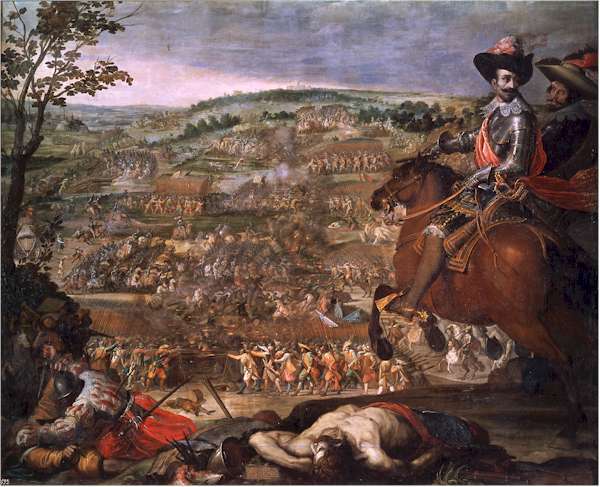 The Bohemian Revolt of 1618 triggered the Thirty Years War and in the early period of the war the Catholic/Imperial cause enjoyed an almost unbroken string of victories. 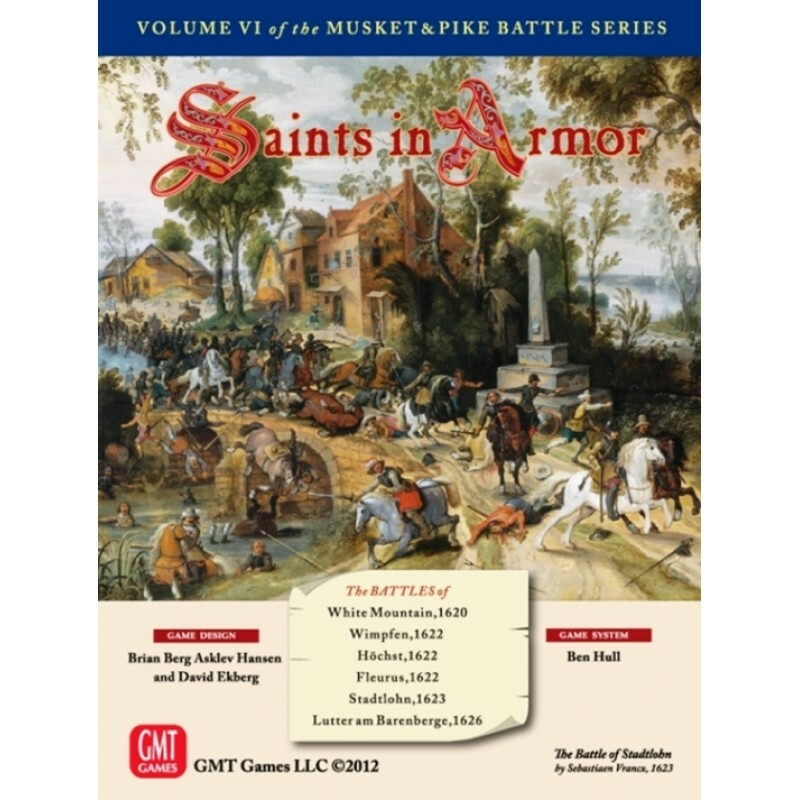 This game, part of the Musket and Pike Battle Series, simulates six battles of the early Thirty Years War. In the period covered, the armies deployed in more compact formations so each battle fits on half of a standard map. The combined army of the Holy Roman Empire and the Catholic League under Johann Tserclaes, the Count of Tilly, strike a blow directly at the Bohemian capital of Prague. The Bohemians make a stand on the slopes of White Mountain outside the town. Their Transylvanian allies desert them at the most critical point of the battle, causing the total collapse of the Bohemian army and its cause. This is a short scenario where the qualitatively superior Catholic forces must crush the strongly positioned Bohemians who are bolstered by a large Transylvanian contingent of questionable reliability. Tilly joins forces with the Spanish under Cordoba. Together they pursue the smaller army of the Markgraf of Baden-Durlach. They catch his army near the town of Wimpfen, where it is drawn up in a defensive position in a river bend. The Markgraf is aided by an invention of his own: special wagons equipped with sharp poles and small mortars. The Catholics storm the wagonburg and heavy fighting breaks out. A powder wagon detonates in the midst of the Protestant position, scattering the defenders. This is a balanced pitched battle. 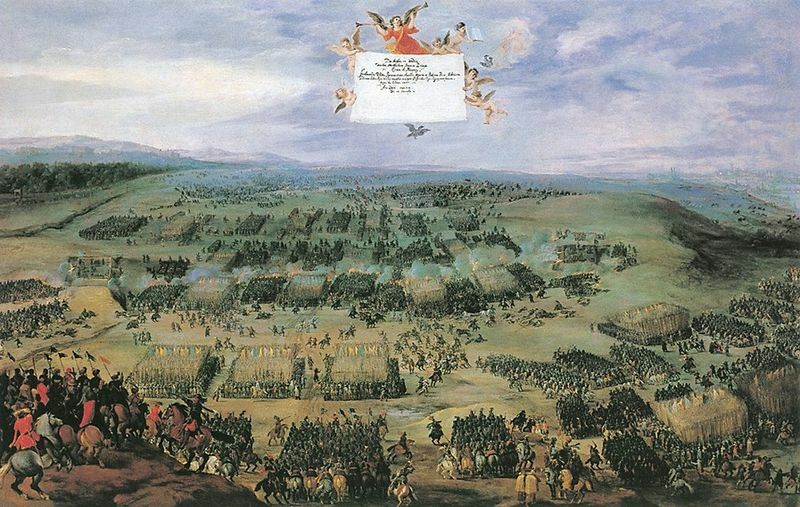 A larger Catholic army tries to defeat a Protestant army that is not only protected by a wagonburg but also possesses a strong cavalry force for counterattacks. The Bavarians under Tilly catch the forces of the zealous Protestant Duke Christian as they try to cross the river Main. To protect the crossing, Christian makes a stand at a stream. At first Tilly hesitates, but eventually the Bavarians attack and the Protestant army dissolves in a chaotic retreat. This is a rearguard situation, where the Protestants must delay the Catholics while simultaneously trying to retreat the majority of their army to safety. Replayability is further enhanced by optional free setup for both sides. Defeated and demoralized, the combined forces of the condottiere Mansfeld and Duke Christian try to escape the German theater and enter the service of the United Provinces instead. Cordoba's Spanish army blocks them at Fleurus in what is today Belgium. The unpaid and mutinous Protestants attack at dawn in an attempt to break through. In a vicious five-hour fight, the Spanish hold, but enough Protestants break through to force the Spanish to lift an important siege in the Netherlands. 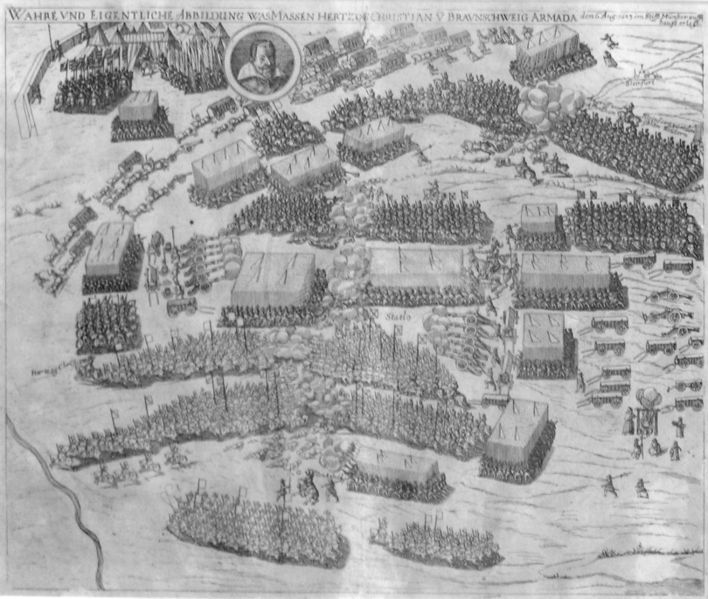 This is a smaller pitched battle where a large but very unreliable Protestant army attempts to overwhelm the smaller but more experienced Spanish army. This battle is suitable as an introduction to the game system. It contains an optional setup where the Protestants deploy in traditional fashion instead of in the Dutch style. Following the battle of Fleurus, Duke Christian rebuilds his army with raw recruits and reenters Germany. However, he soon finds himself unsupported and forced to retreat when Tilly's veteran army bears down on him. The Protestan army, slowed by a massave baggage train containing the loot from Christian's earlier campaigns, finds itself caught by Tilly's vanguard when within sight of the Dutch border. True to form, Christian decides to risk his army to save his baggage train, but ends up losing both. This is a race-against-the-clock rearguard situation where the focus is on the fate of the Protestant baggage train that is slowly moving towards the map edge. The Danish King Christian IV intervenes in the Thirty Years War and pushes Tilly back during the early summer. However, he finds himself outnumbered and on the defensive when Tilly is reinforced by Imperial troops. Christian decides to turn on his pursuers and gives battle in a strong defensive position at Lutter am Barenberg. The initial Catholic attacks are repulsed, but the subsequent uncontrolled Danish counterattack results in the eventual collapse of the Danish army. “A large pitched battle where the Danes are hampered by unusual command arrangement better suited to a rearguard battle, as well as a wide Catholic outflanking move. Replayability is enhanced by optional Catholic free setup and off-map flanking options and by additional forces for the Protestants. " In addition to scenario specific special rules that highlight the unique events of each battle, the battles in the game all share a simple set of special rules. These rules show the peculiarities of the early years of the Thirty Years War, such as Croat/Transylvanian style light cavalry. Even though not all of the battles included were equal contests in military terms, the player victory conditions are balanced. Along with the special rules, that means the battles are interesting for both sides.